For all the talk about the commercial failure of Japanese cinema on its home turf, there are still a few filmmakers who can deliver genuine hits. Aside from the unstoppable box office juggernaut that is Studio Ghibli, one of the most successful directors in recent years has been Katsuyuki Motohiro. Starting out in television, he was the man behind the hit cop show Bayside Shakedown (Odoru Daisosasen). In 1998 Motohiro made a spin-off movie and struck box office gold. Employing his crowdpleasing mix of comedy, action, and a dash of sentimentality he went on to further triumphs with the widely popular Space Travelers and Transparent (Satorare - Tribute to a Sad Genius). Now one of the partners in up-and-coming production house Robot, Motohiro's status within the industry is a comfortable one indeed. The subtitle of your film Transparent / Satorare is "Tribute to a Sad Genius". The original manga is simply called Satorare - Sad Genius. I believe this was the result of a connection with a Mazda marketing campaign. Could you explain how that link came about? When Mazda introduced their new Tribute car, they had a very broad ad campaign. They had linkups with other fields like fashion and music, and my film was an example of how they linked up with cinema. There is one scene in the film where we use the Tribute car and for that we got financing from Mazda. That's also why we added the word "tribute" to the title. It's a matter of business, really. You don't have any problems with such an overt form of commercialism? I don't have a problem with it. In fact, it allowed me to make the film I wanted to make. The financial means for filmmaking in Japan are decreasing. There were some things that I wanted to do in Transparent, like the helicopter shots, which were very expensive so we had to find additional financing. We had to think of methods of sponsorship and this Mazda deal was one such method. Without that extra money we wouldn't have been able to use computer graphics or do those aerial shots, because they would have been too expensive. Transparent is your second film with actor Masanobu Ando. He was also in Space Travelers. What attracts you in him as an actor? He is very pure as an actor and also as a human being. The lead character in Transparent is a very pure character and Ando is exactly the type who can depict that. He has this very pure aura. He is almost like a boy, and even though he is an adult he has kept this innocence and purity inside him. I have a good personal relationship with Ando, not just professionally but in daily life too. We often go and watch films together. In Space Travelers he plays a similarly pure character. Wouldn't you want to cast him against type some time in the future? I have no intention of specifically writing a role for Ando and to intentionally cast him against the type he's played in my films until now. When I write a film I develop the characters and after that I go looking for actors. I don't have specific actors in mind when I write and then try to make the role suit them. Also, Ando may be known for his pure roles, but he's played very different parts as well, like his very wild character in Battle Royale or in Red Shadow. He has already proven that he can play different parts. 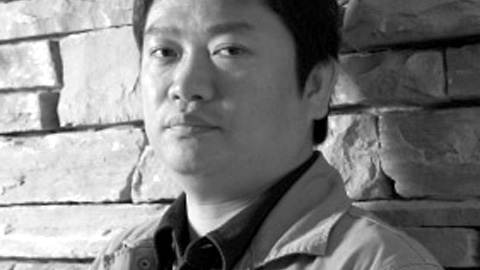 Another regular contributor of yours is composer Akihiko Matsumoto. For the music of Transparent you decided to use a different composer. Could you describe your approach to selecting music and composers for your films? Mister Matsumoto and I first met when I was doing the TV series of Bayside Shakedown and we did several projects together after that. In the case of Transparent I felt his kind of music didn't quite suit the film, so I asked another composer to do it. But I will certainly work with mister Matsumoto again in the future. It's just that each film requires its own feeling and the music is closely connected to that. I'm not fixed on only one composer. I always try to find the people who are most suited to each specific film. When you made the film version of Bayside Shakedown, did you consciously try to make it more cinematic than the TV series? Did you approach it differently on a stylistic level? Yes, I wanted to create something for the big screen. The screen size is very important because a small TV set or a big cinema screen is a world of difference. Maybe more so for the people who make the film than the people who watch it. My intention was to upgrade my work for the big screen. Did you feel you were successful in that, in making it more cinematic? Hmmm. It's really difficult for me to say whether I was successful or not. What I can say is that I put a lot of effort into the film, because it was the end of the whole Bayside Shakedown project. There was not going to be another television series after it, so it was like creating the end mark for the whole phenomenon. I think I succeeded in that, because people liked it and it became an unexpectedly big success in the theatres. That's what matters most to me and I'm very happy with it. How did the commercial success of that film change your position within the industry? My position changed quite a lot. For one thing, the success of Bayside Shakedown made it possible for me to realise the other projects I was working on: Space Travelers, Transparent, and also White Out, which I produced. If my first film hadn't been such a smash hit, probably none of those would have happened, because nobody would have been interested in investing in them. So in that sense it had a strong impact on me. But also, I think it had a big influence on Japanese cinema as a whole. After he made Princess Mononoke, Hayao Miyazaki announced that he would retire and never make another film. He was very pessimistic about the future of Japanese film at the time. But when I met him, he told me that seeing people lining up outside cinemas to see Bayside Shakedown gave him a lot more confidence. After that he decided to start a new project, which eventually became Spirited Away. Studio Ghibli also invested a good deal of money in Transparent, part of the budget for the film came from them. So what changed was not only my position but also this idea that you can make commercially successful films in Japan, that it's not useless to try and make commercial films. You continued working in television even after the Bayside Shakedown film became a hit. Why did you decide to stay in TV? For one thing, there are not that many directors in Japan who are successful with both TV dramas and theatrical films. Since I realised I had this ability to attract both TV audiences and cinemagoers, I felt no reason to stop working in TV. Beside that, I find it interesting to work in television. Cinema is always said to be on a higher cultural level than television, which is often regarded as being junk food for the masses. I don't think that's necessarily true. You can reach different audiences with each medium. People who go to cinemas have to pay to see a film, but television is free, so you can reach more people and also different kinds of people with a TV drama than with a film. The story of Space Travelers revolved around a fictional anime series. After the film was released, it was decided to actually make that anime into a one-shot animation. How did this decision come about? While we were making the film we decided to do the anime. When we were working with those characters we realised we could probably make something out of them. The further we developed the project, the more we felt we wanted to do it. So at first we made a one-minute animation that was used in the film itself, financed with a part of the film's budget. After that we expanded it into the one-shot animation. Your films all show underdog characters fighting a much stronger system. Where does your fascination for this type of character come from? I'm fascinated by organisations. Everybody is in some way part of an organisation. If you have an organisational structure, there are people at the top and at the bottom. But for a comedy, the people in the middle are the most interesting ones. Because their position is not as clear as those who are at the top or the bottom. They have relations with those above and those beneath them, which allows you to develop very funny situations. Often, the top turns out to be the villain, but I like to focus on those people in the middle. In this respect I also like films that give the audience a lot of information. This is even more true for foreign audiences watching a Japanese film. People are confronted with a lot of images and information and they get a little bit confused, which makes their position also a little bit unclear, just like the characters. I believe you studied filmmaking at the film school started by Shohei Imamura in Yokohama. How do you look back on that time? Looking back at my time there, I have mostly good memories. The most important thing I learned there was networking, working closely with other people. I made a lot of friends there and those contacts are still valuable for me today. What makes mister Imamura's school so special compared to for instance universities, is that it focuses very strongly on learning the practical side of filmmaking. When I left the school, the choice between going into cinema or TV was basically non-existent. Theoretically it was an option, but practically going into film was almost impossible. If you wanted to go into film at the time you had to either join the pink film industry or make your own low-budget independent productions on 8 or 16 millimeter. For me it was important from the start to make commercial films, films for big audiences. I wanted to make films that would make people laugh and cry and feel good. Television was the place where you could do that. You are now an employee of the production company Robot. Why did you choose to be in this position? One could imagine that being a freelance director would be more profitable for someone who has enjoyed the commercial success you have. Maybe being freelance would give you more freedom to choose your projects. In the beginning of my career as a director I was part of a TV production company called Kyodo Television. I worked for them but at the same time I developed other projects. When I made the Bayside Shakedown film I left the company and worked as a freelance director for about a year. But this experience made me realise that being a freelancer meant having to think about many things beside filmmaking, like administration and financing. You can't concentrate on the creative aspects. That's why I decided to join a company again, so I could concentrate on the creative side and leave the rest to other people. I don't make films to become rich. If I make a decent living, I'm happy. I am now in a position where I make a decent living and at the same time I can focus on doing the projects I want to do.